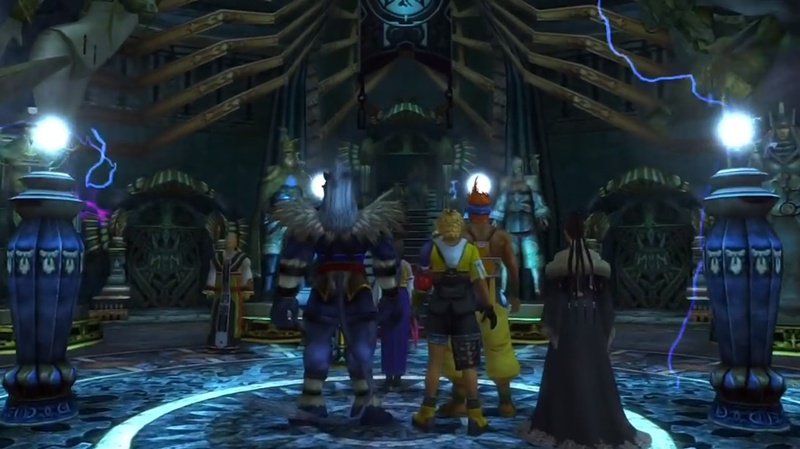 A complete walkthrough for Djose Highroad and Temple in Final Fantasy X (FFX), including enemies encountered, obtainable items, and boss strategy guides. Soft Ring From the crusader near the starting point of Djose Highroad. Phoenix Down (x2) Chest along Djose Highroad. Mega Potion From a crusader standing on Djose Highroad. Al Bhed Primer vol. XI Hidden behind a large stone mass on Djose Highroad. Bright Bangle From a chest inside a small aclove on Djose Higroad. Ability Sphere (x4) Behind the building on the right near the entrance of the temple. Ether From a chest left of the stairs to the entrance of the tiails. Magic Sphere Obtained at the end of the trials. 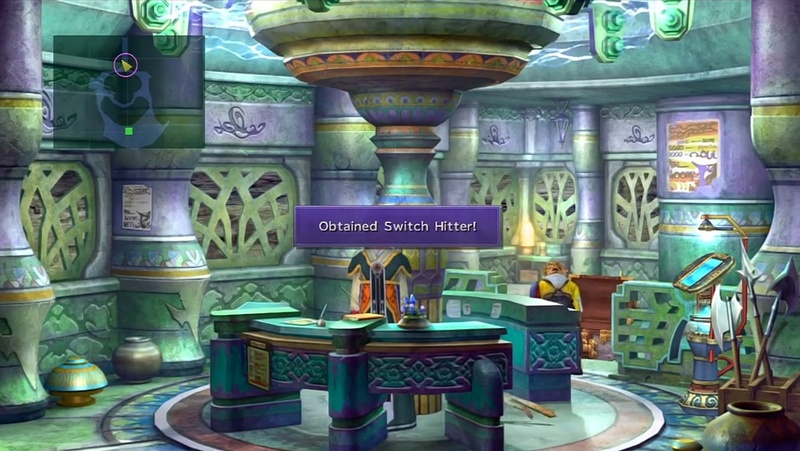 Switch Hitter From a chest behind the counter of the Inn (after clearing the trials). Remedy From a chest in the left room of the temple (the room where Yuna is resting). Halberd From a crusader on the bridge as you leave the temple (after clearing the trials). Potion (x10) From a crusader on the bridge as you leave the temple (after clearing the trials). Enter the temple and go through the Cloister of Trials. Go up the staircase and commune with the Fayth. Leave the temple and watch the cutscene. Go inside the temple again and talk to the priestess in the room on the left. Follow Yuna to the bridge going to the Moonflow. 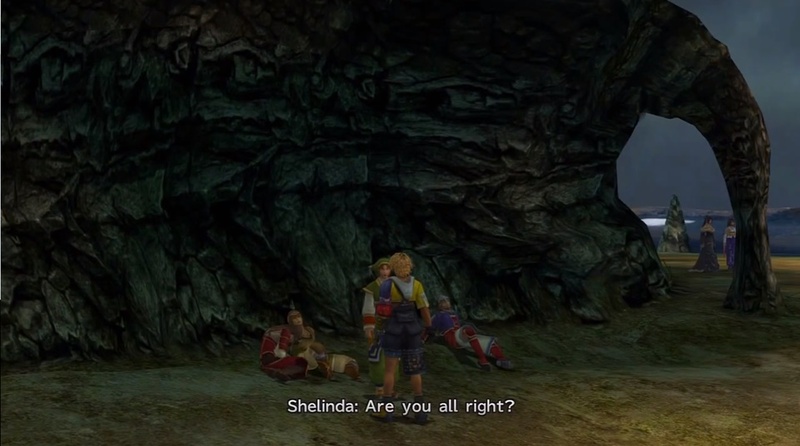 When you enter the Highroad, you can ask Shelinda to heal your party. 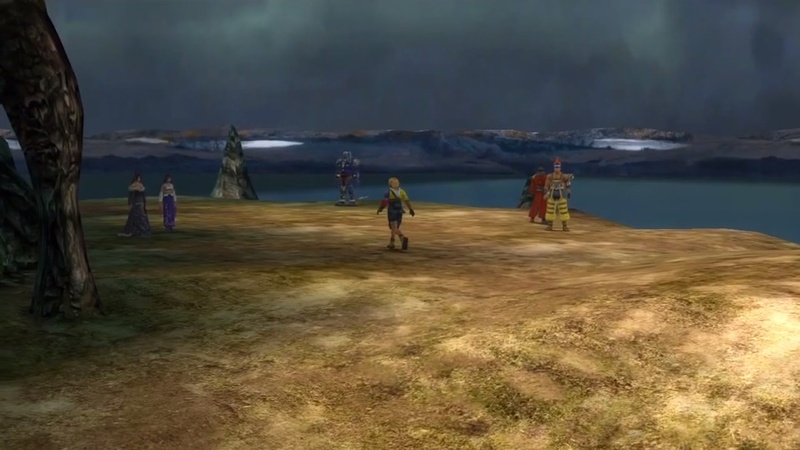 Afterwards, proceed down the road for a cutscene. Djose Highroad is home to various types of enemies that are weak to either fire or ice. The enemies that you should be the most careful with are Basilisks and Raptors. These creatures can petrify their enemies. All of your party turning to stone is the same as dying: Game Over. 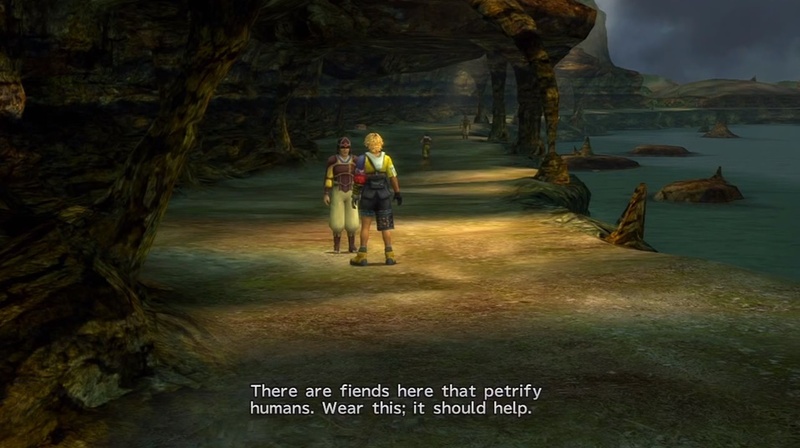 Luckily, there will be an NPC running around who will give you a Soft Ring that you can equip to one party member to give you immunity to petrification. You can also have Kimahri learn the Overdrive Stone Breath from Basilisks by using Lancet on them. Along the road to the temple, you can pick up Phoenix Down (x2) from a chest. You will come along a traveling Yevon monk that will give you a Hi-Potion if you talk to him. Two crusaders will give you Ether and Mega Potion. Further on the path you will come up to a stone pillar. 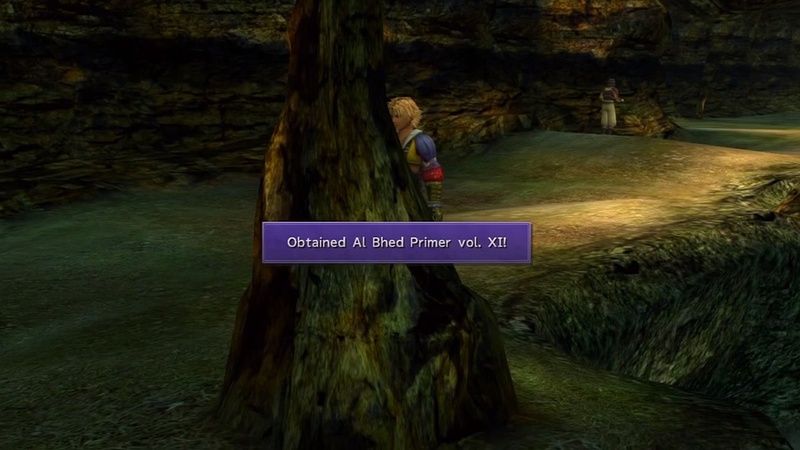 You can get Al Bhed Primer vol. XI behind it. Just a little ways from the stone pillar is a small alcove with a chest that contains Bright Bangle. When you arrive at the temple, a cutscene will play. 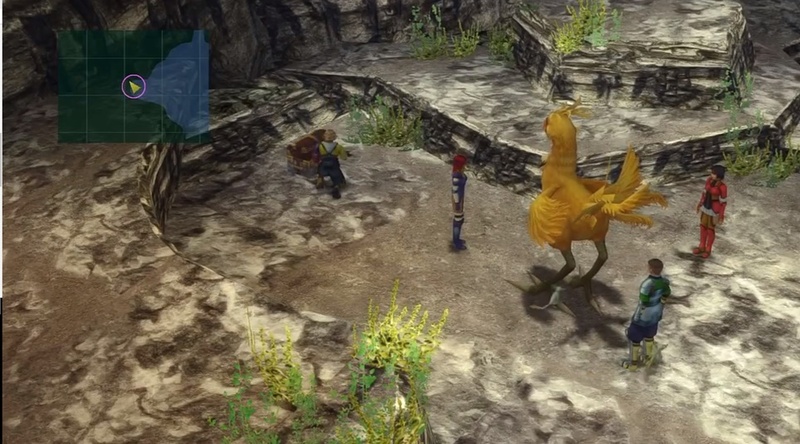 After the event, go left behind the Chocobo Mounted Forces to get 4,000 Gil inside a chest. Afterward, go to the right. You can get four Ability Spheres behind the building. After you complete the trials, head to the chamber of the Fayth by going up the stairs. Talk to your party and leave the area for another cutscene. Once outside, enter the temple and talk to the priestess in the room on the left. Don’t forget to open the chest there to get a Remedy. After the cutscenes, go to the inn on the right. You will find that the monk blocking the chest is gone. Open the chest to get a Switch Hitter. Leave the temple and talk to the crusader on the left of the bridge to get a Halberd. Further along the bridge, away from the temple, another crusader will give you ten Potions. After the cutscene, proceed to the Moonflow.